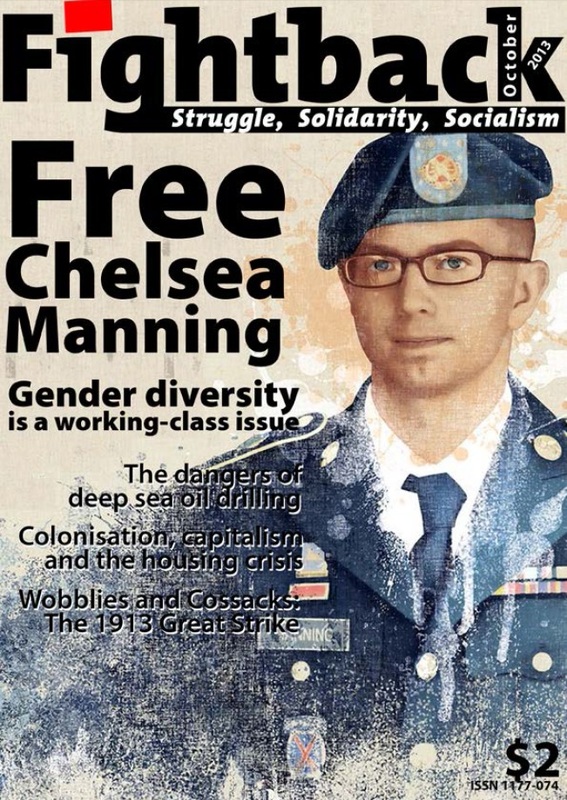 Welcome to the October 2013 issue of Fightback. In September, Unite defeated an effort by fast food giant KFC to sack its disabled workers. This came after a more compromised win in the battle for improved pay and conditions at McDonald’s. There are some important observations to draw from these partial victories. The first observation is fundamental to what Fightback stands for; collective organisation, collective struggle, are needed to improve our conditions. Finally, these victories were partial. While unionised McDonald’s workers gained in security of hours, the gain in wages was minimal. Both corporations continue to exploit workers and degrade the environment. This underlines the importance of having a long-term strategy, an aim to eventually out-maneouver and smash the McDonald’s of the world, a collective memory of previous victories and losses. This is why socialist groups like Fightback exist.